KIDS FIRST! 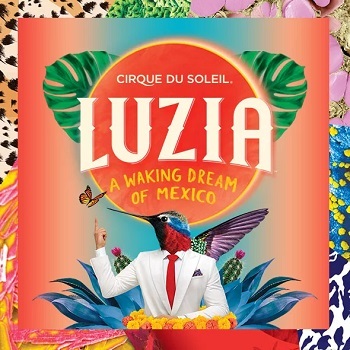 Jury Blog » Blog Archive » Luzia: A Waking Dream Of Mexico – A Spectacular Extravaganza That Will Bring You To Your Feet. Luzia: A Waking Dream Of Mexico – A Spectacular Extravaganza That Will Bring You To Your Feet. 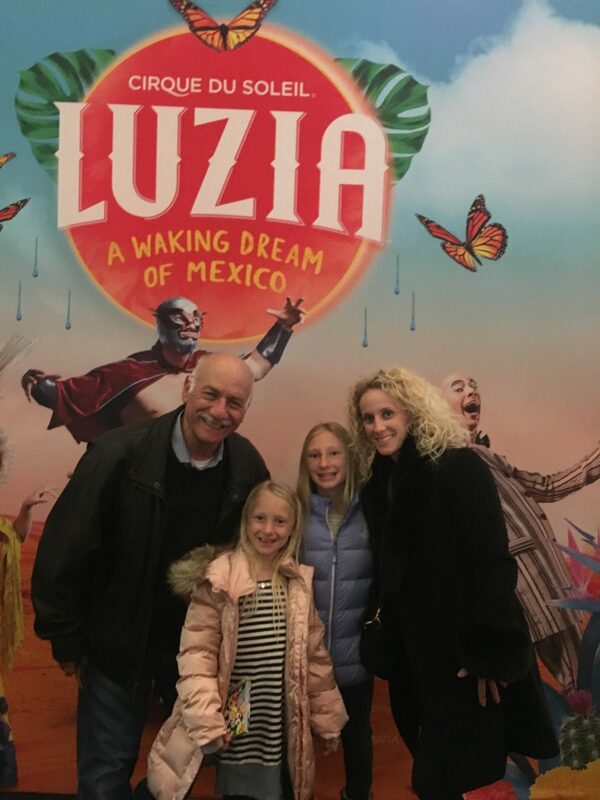 Luzia: A Waking Dream of Mexico takes you to an imaginary Mexico, like in a waking dream, where light (“luz” in Spanish) quenches the spirit and rain (“lluvia”) soothes the soul. With a surrealistic series of grand visual surprises and breathtaking acrobatic performances, Luzia cleverly brings to the stage multiple places, faces and sounds of Mexico taken from both tradition and modernity. KIDS FIRST! Juror Harold W. comments, “You will find yourself gasping, laughing and thrilling with joy as you explore the themes and mythology of Mexico.” Lily L. adds, “Like a see saw, up and down, more people go from one swing to another. Their tricks are stunning. I really loved this performance and recommend that you should go to Cirque du Soleil every year.” See their full reviews below. Cirque Du Soleil brings the emotion and soul of Mexico’s spirit and culture to life in its newest surreal production, Luzia – A Waking Dream of Mexico. The show continued its tour this week, with a stop in Costa Mesa, California. Your whole family will be engaged in this two and half hour escape into a wonderland of energy, movement, sound and color that takes you through more than a dozen scenarios of music, dance, comedy and gravity defying acrobatics. You will find yourself gasping, laughing and thrilling with joy as you explore the themes and mythology of Mexico. A comedic opening welcomes you to an unmatched plane flight that reveals a plunging sky diver unhooked from his harness and brought to earth. The scene flows into a simple opening of plumaged dancers and mini-gardeners, pierced by the soulful music of a single Spanish guitar solo into a musical flocking of dancing robots, prancing colorful, acrobatic birds and a crescendo of sound that stirs you in your seat. The walkway comes to life as acrobat after acrobat tumbles through the air, stabbing their bodies through the smallest hoops and landing in flips and motion in a colorful array. The stage clears and the moving animals arrive. Multi-person puppets and agile puppeteers bring us a parade of horses, dragons, snakes and beetles that entertain us as the whole stage is converted into a beach. Enter the Strong Man. A powerfully built muscle man begins to balance himself on his hands in an ever-growing construction of skinny balance poles. First one length and two hands. Then two lengths and one hand. Then three lengths…four…five…six…until he is holding himself 30 feet above the stage on spindly poles with one powerful arm. The music and songs blast through the tent in powerful sound to underscore the energy of the performances. The colors and themes provide a new appreciation for the culture and community of our neighbors to the south. And the show continues. Dancers fly up and throu gh the air at the hands of their partners. A basic looking hoop dancer moves in circles that grow into fantastic energy and speed. A simple hanging rope turns into a flight of fancy by the talent of a woman flying through the air. A pair of soccer balls defy the laws of gravity under the footwork of their handlers. Spectacular water effects create images and forms in sheets of droplets as they fall to the floor of the stage. Acrobats twist on balance poles as they stretch their muscles in parallel motions to the floor. Trapeze artists take flight. Large tiger puppets bond with a spectacular aerialist as they present a surprise feature through the floor of the stage. A juggler’s fantastic speed creates a blur of pins charging through the air. A contortionist‘s body defies the rules of anatomy and bones. Cirque du Soleil’s performances all have unique strengths. The shows have been performing for 34 years. Each year they have a different theme. This year’s show is called Luzia and is inspired by Mexico. It opens with birds coming in with robots while a band plays. Swordfish and dancers come onto the stage. The mini robots get out their maracas and the music becomes upbeat. Now the show. Soon after that, birds flip through the air – in and out of hoops. In the third scene a woman is thrown, caught and passed by three men. This flexible woman is wonderful. Another woman descends from the ceiling on a rope. She gently wraps herself in the rope and a younger girl spins and twirls in a hoop underneath. They set up the stage while we are distracted by a silent and mysterious game. Then, a pole climber stacks sticks, climbing slowly and conquering the stacked sticks as he goes up and down in handstands. The performers do wonderful soccer tricks in the rain inside the tent. In the eighth scene, a woman sings a lovely Spanish song while water falls from the ceiling in different patterns and shapes. Then, pole dancers flipped on poles, spinning and spinning. More amazing tricks happen all the time. Most of the performers come out with a tall, long swing. A man goes around on the swing like a gymnast. A man on a thin rope swings in the air, water dripping from his hair and his feat. A man starts to juggle with three pins that go up at least ten feet in the air. Then he has four and then five pins. This man is amazing. Six pins quickly zoom into the room. The juggler drops down to three pins and goes into the crowd. A contortionist literally bends in half. There are not enough words to explain him. Like a see saw, up and down, more people go from one swing to another. Their tricks are stunning. I really loved this performance and recommend that you should go to Cirque du Soleil every year. This entry was posted on Saturday, February 24th, 2018 at 12:20 pm and is filed under Jury Updates. You can follow any responses to this entry through the RSS 2.0 feed. Both comments and pings are currently closed.